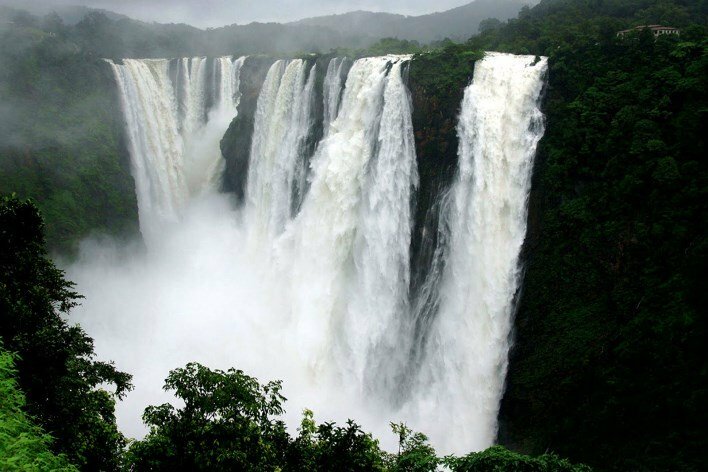 Dudhsagar is one of the world’s most exquisite falls. 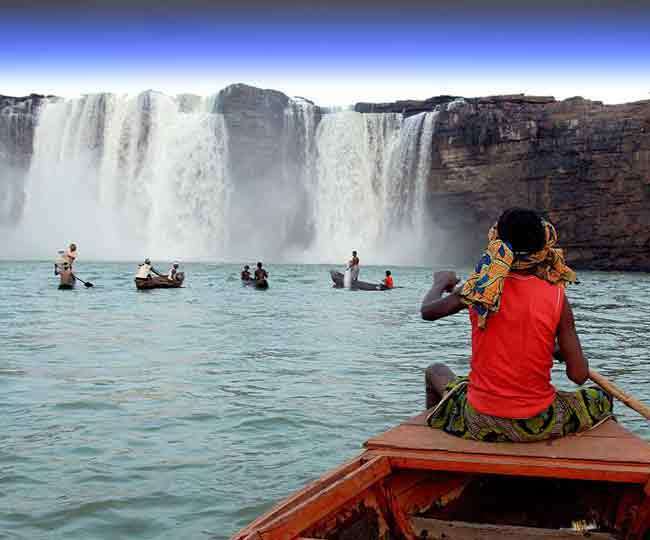 The fall is the 5th largest in India, measuring 310 meters. The best time to visit the falls is at the peak of the monsoon season. 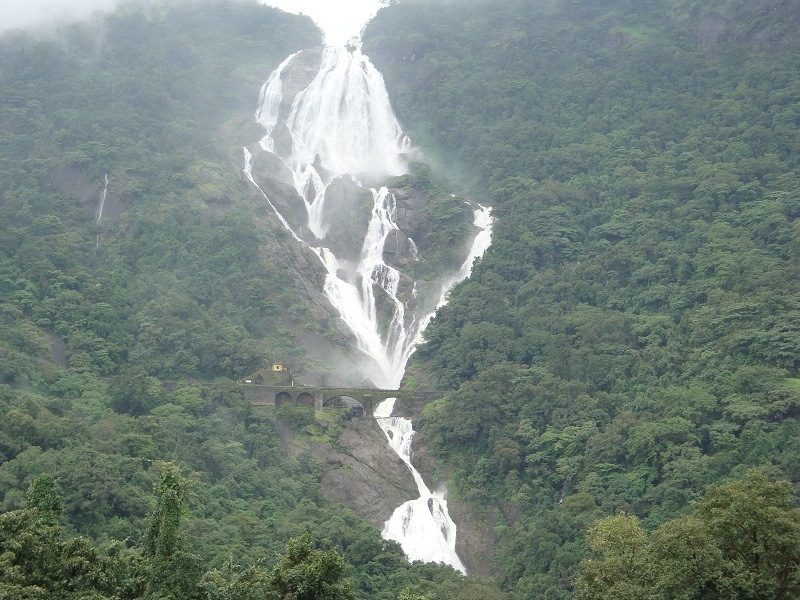 Trekking along Dudhsagar Falls is popular activity among tourists. Jog Waterfalls located in Shimoga is the second-highest plunge waterfall in India and a major tourist attraction. What makes Jog falls spectacular is not its height but the width. Its girth is 290 mt and it is as high as 259 meters. 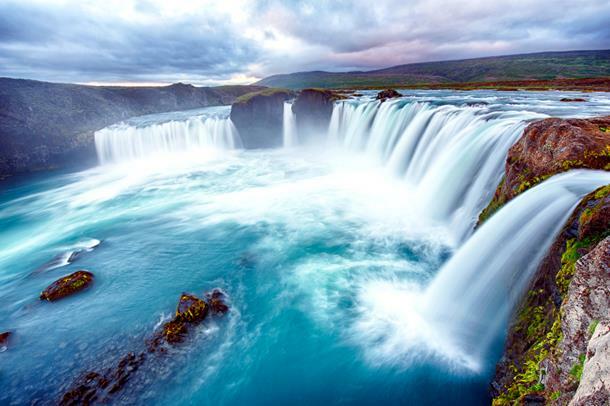 Athirappilly Falls, also known as the Niagara Falls of India, is an 80 ft waterfall and a popular tourist destination. 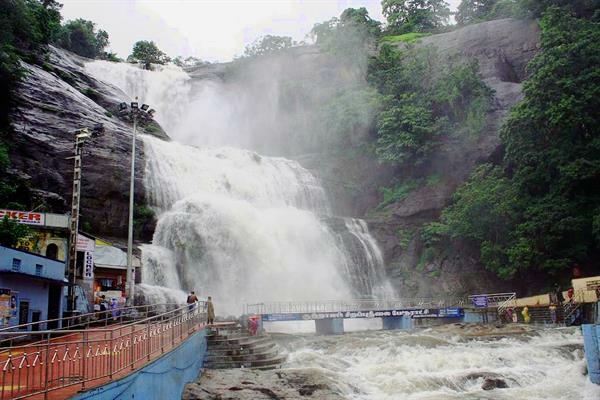 Courtallam Falls measures 160 meters, making it one of the tallest in India. You can reach the falls with a jetty built right across the river below the falls. Measuring only 29 meters in height, the Chitrakoot Falls is the broadest waterfall in India. 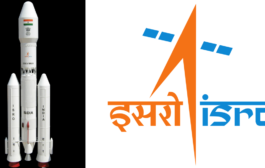 It is situated at a distance of 38 km from Jagdalpur and is accessible only by road. 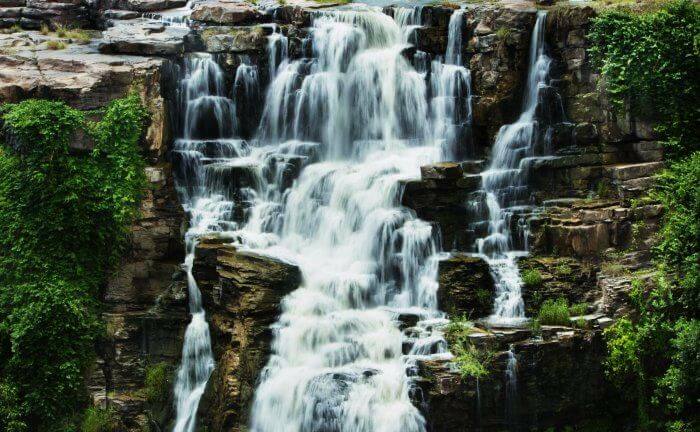 The source of this waterfall is the Indravati River and it has a height of around 96 ft. The attractive feature of the falls is the play of rainbow hues on it. Around the falls, the area is largely forested and there is a helipad nearby. 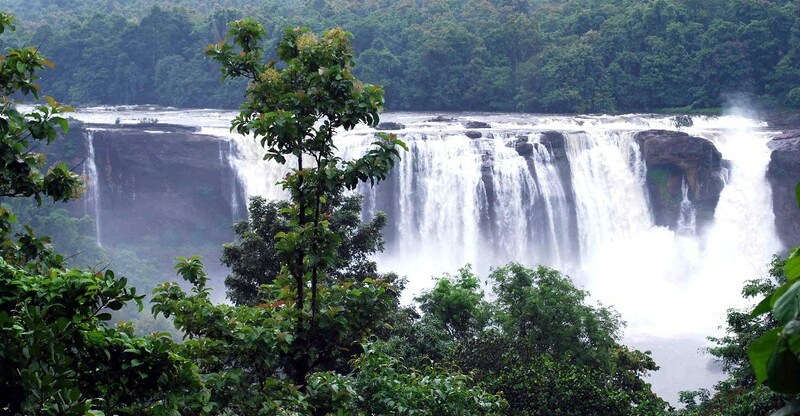 Ethipothala Falls is a 70 feet high river cascade, situated on the Chandravanka River. The fall is a combination of three streams namely Chandravanka Vagu, Nakkala Vagu and Tummala Vagu. 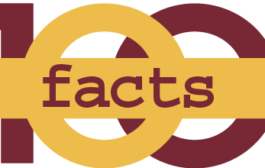 While visiting the falls, travellers must visit the crocodile breeding centre nearby. 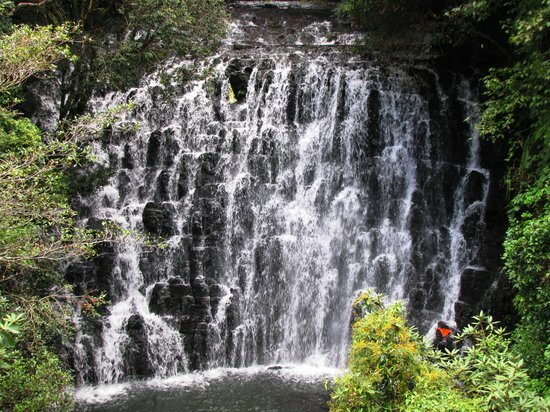 It is situated at a distance of 12 km from Shillong. One can walk down through the well-maintained staircase to the bottom of the falls and enjoy the view. 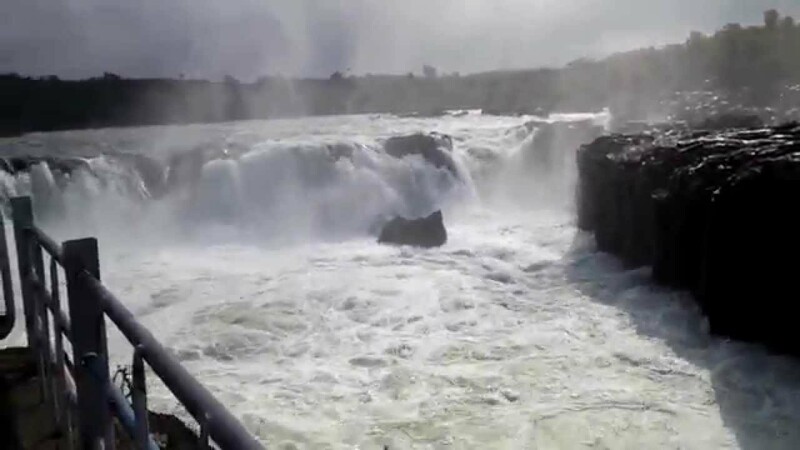 Dhuandhar Falls is located at Bhedaghat in Jabalpur. The smoke cascade formed by fine water sprays is indeed a visual treat. Marble Rocks, located just one kilometre from the falls, is also worth seeing. 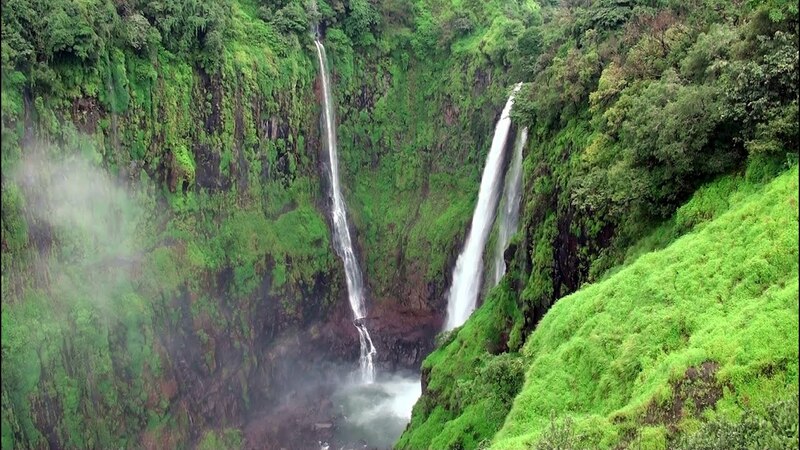 Thosegarh, famous for its waterfalls, is a popular picnic spot located near Satara, 36 km from the city. The 1,150 ft waterfall is one of the best attractions of the region. Bear Shola Fall, located at a distance of 2 km from the Kodaikanal Lake, is another popular tourist spot in the destination. The best time to a visit this place is during the rainy season.